Peridium® Powder Coatings offer excellent application and performance that continually exceeds expectations. Our state-of-the-art technology allows for tightly-controlled particle size distribution. 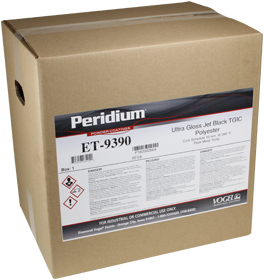 This means that you can count on Peridium® for impressive first-pass transfer, edge coverage, and smoothness. At Diamond Vogel, we are here for you on every project, providing service that is both personal and professional. With unparalleled service and support, expert color matching, and reliable inventory, our team is here to help you fulfill all of your coatings needs. Power 80 On Demand is in-stock and ready to ship. It combines the hottest colors with the proven performance of our innovative powder coating technology. All of the premium finishes are produced with TGIC Polyester technology, providing superior interior and exterior durability. All products are available in five pound and fifty pound quantities. Diamond Vogel takes pride in offering cutting-edge coatings technologies. In addition to custom formulations, Diamond Vogel also offers high-performance industrial coatings packaged and warehoused for immediate use. At Diamond Vogel, we know there’s no substitute for reliable technical service and in-depth product knowledge. Our friendly, experienced specialists will guide you every step of the way in order to explore and evaluate your coating needs. We take a thoughtful, comprehensive approach to powder coating solutions here at Diamond Vogel. Once your needs have been defined, we add yet another layer of collaboration by working hand-in-hand with our our lab to develop the ideal custom coating formula for your operation. Our extensive list of products could very well hold the ideal option for your coating operation. Explore our product database — complete with easy-to-use filters and search options — to find the coating solution that meets your needs.